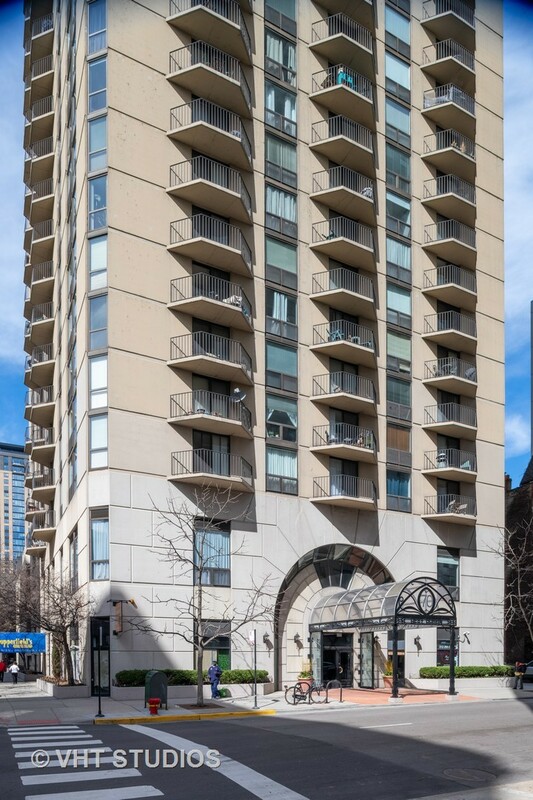 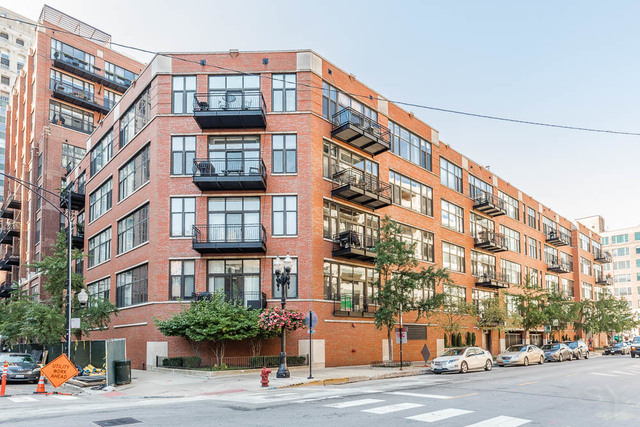 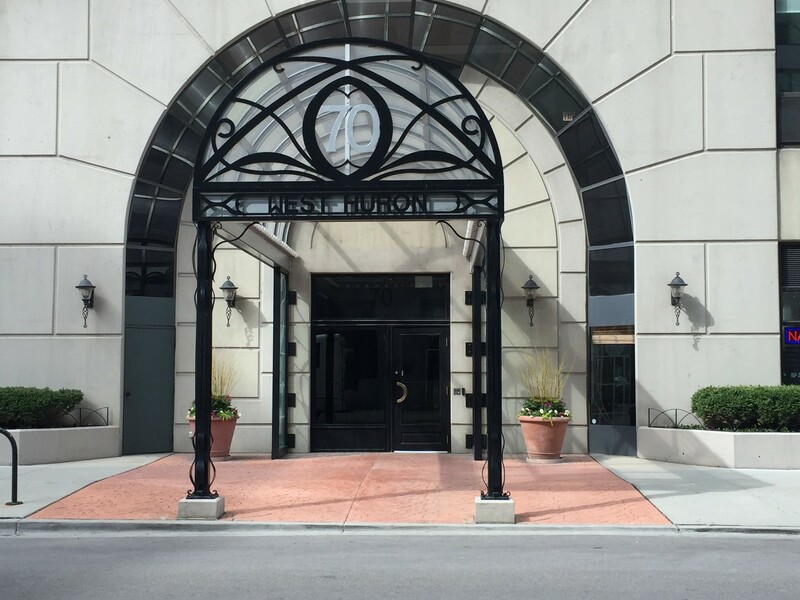 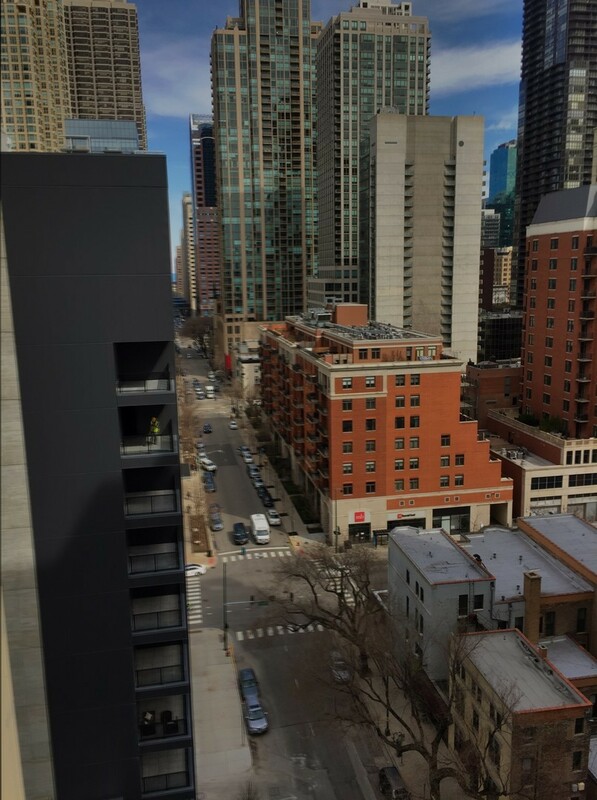 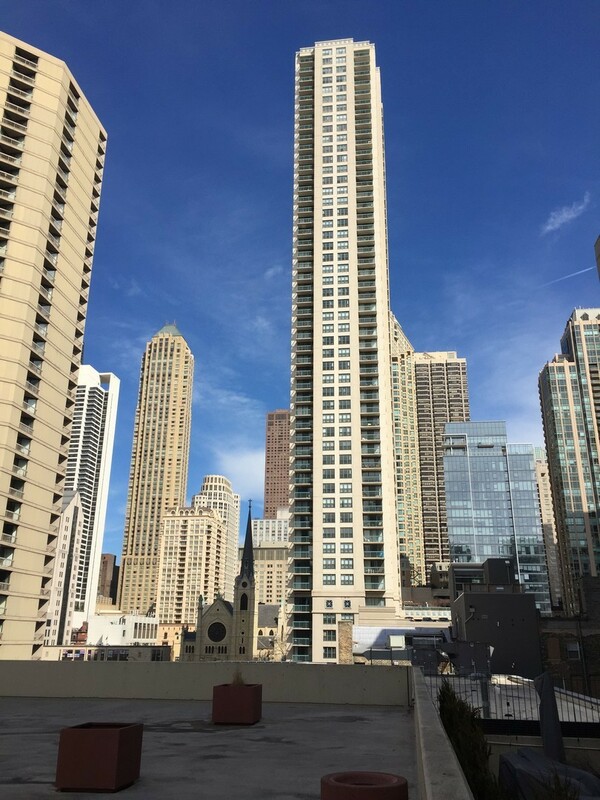 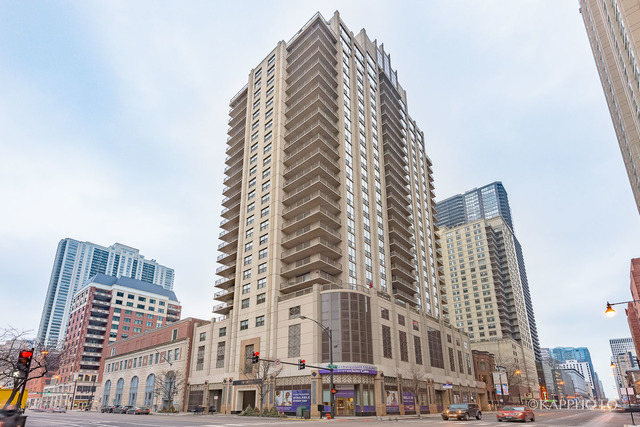 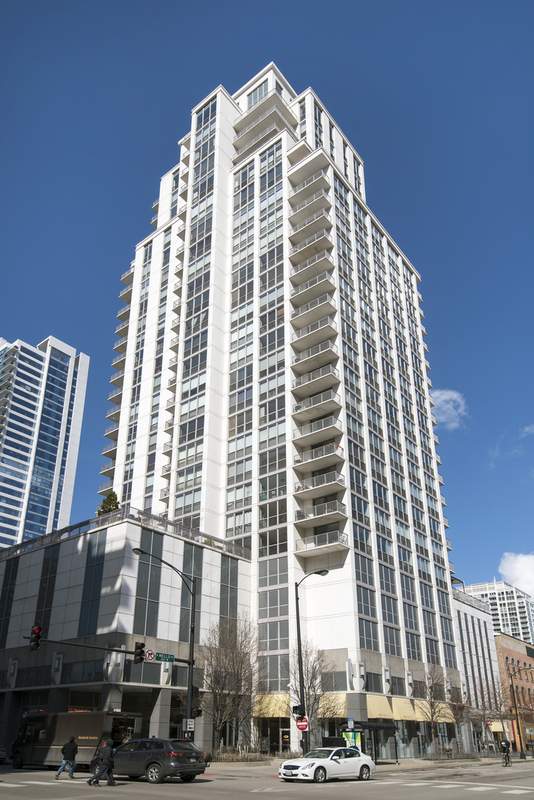 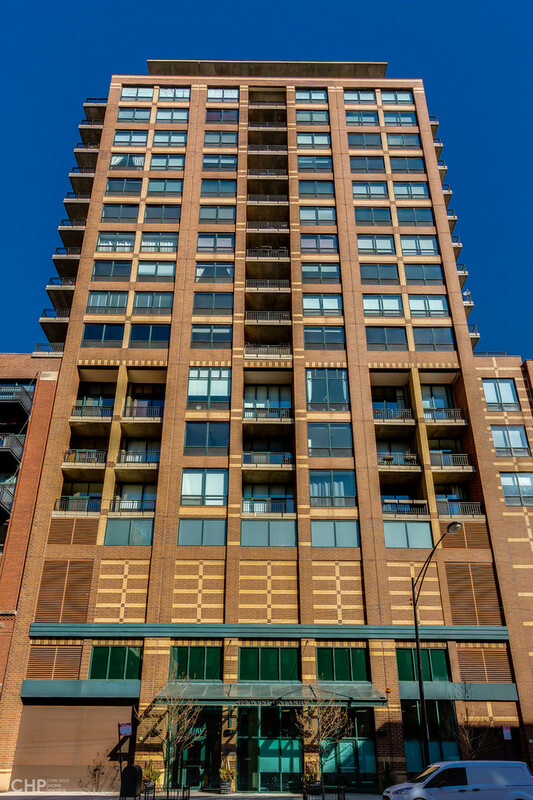 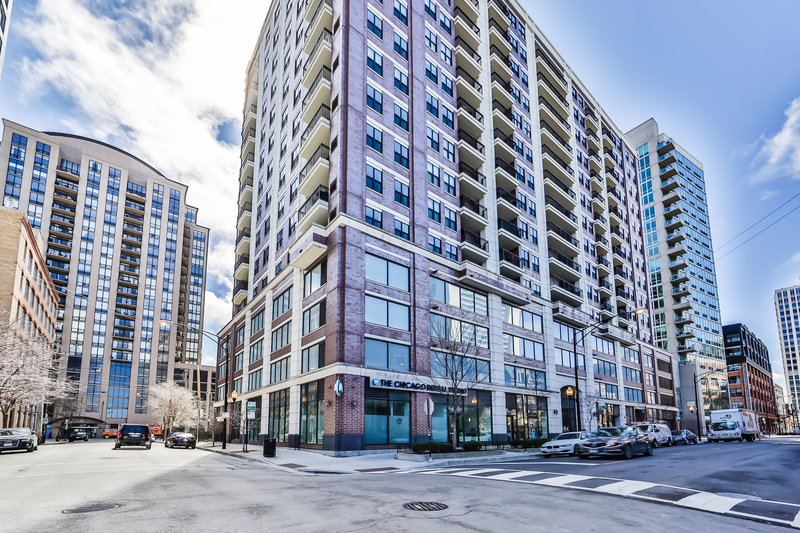 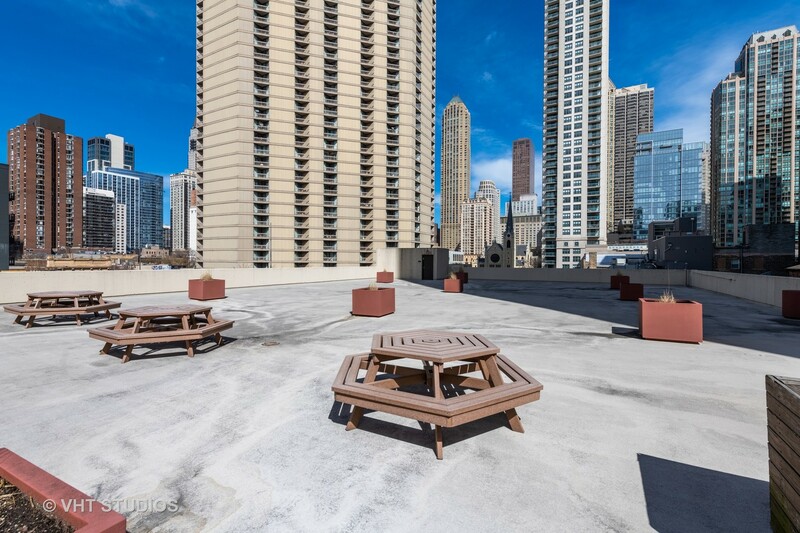 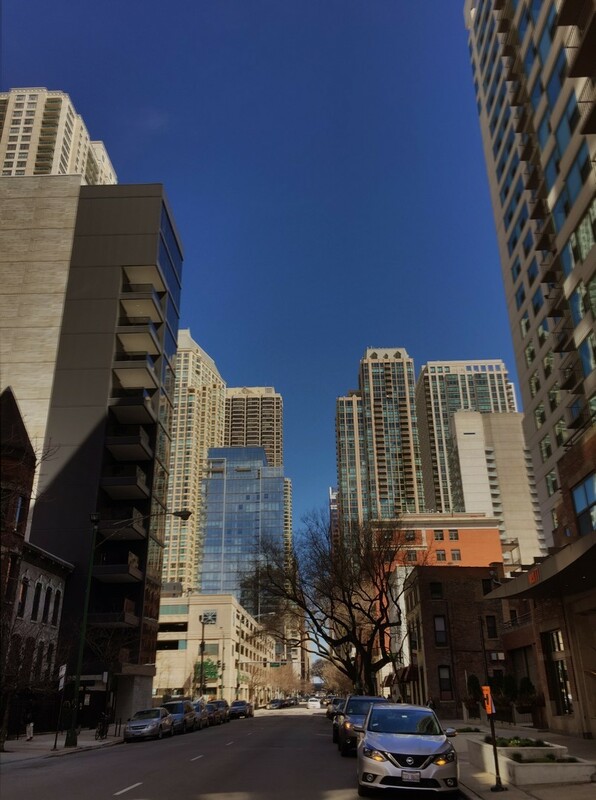 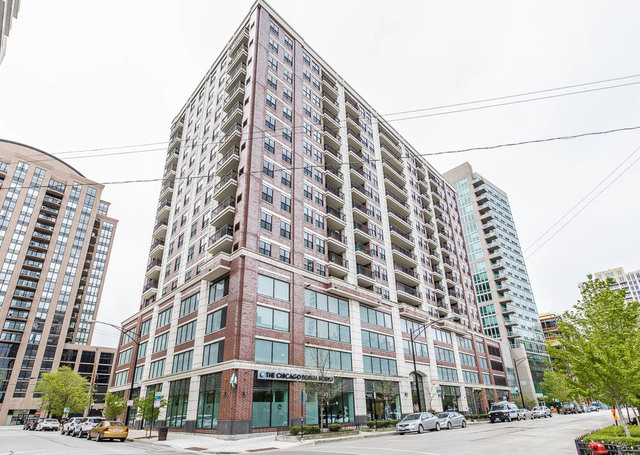 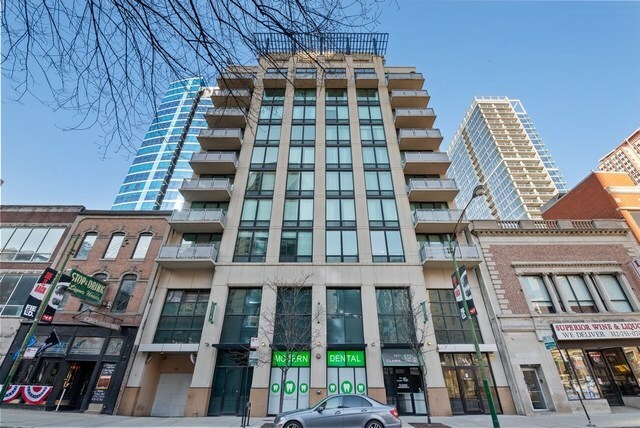 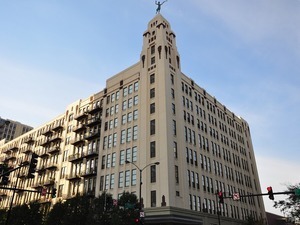 Spacious urban oasis in the heart of River North at the Hermitage offers an unbeatable location. 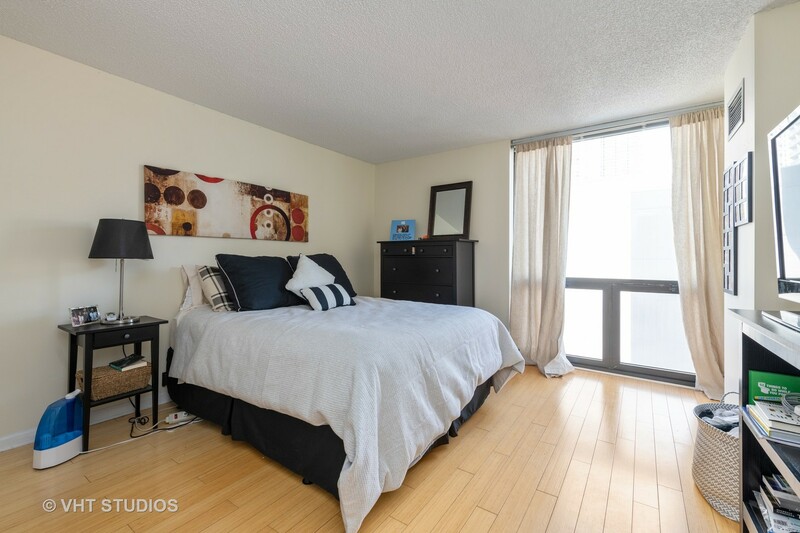 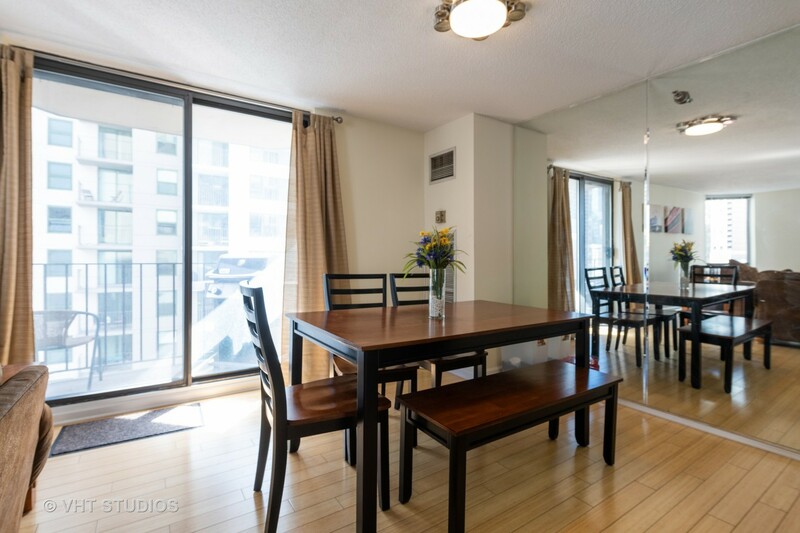 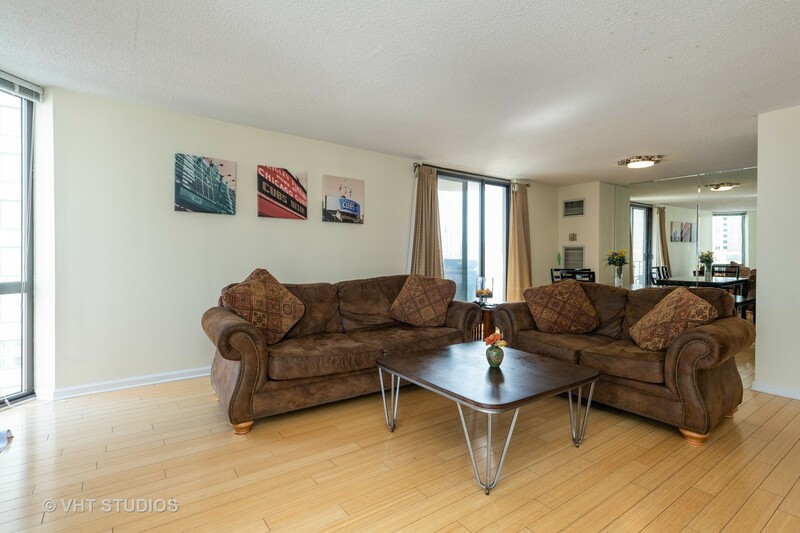 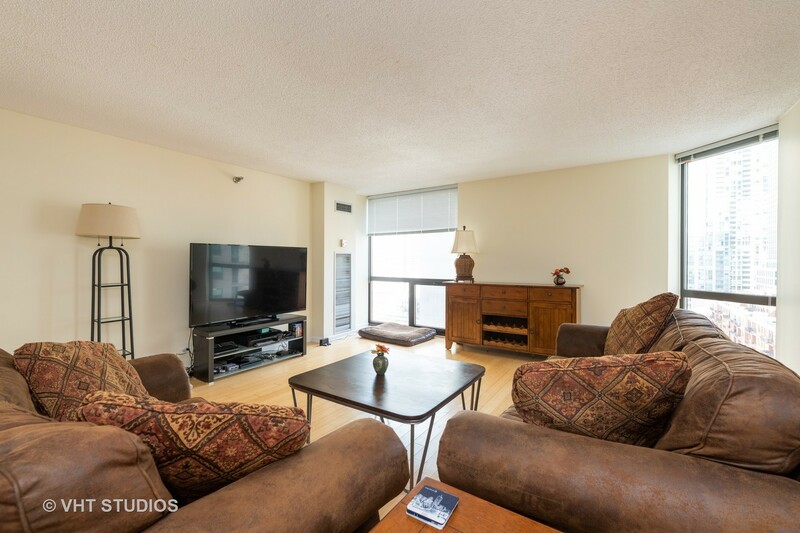 This split floor plan condo with 2 bedrooms, 2 bath boasts tons of light from this South East corner. 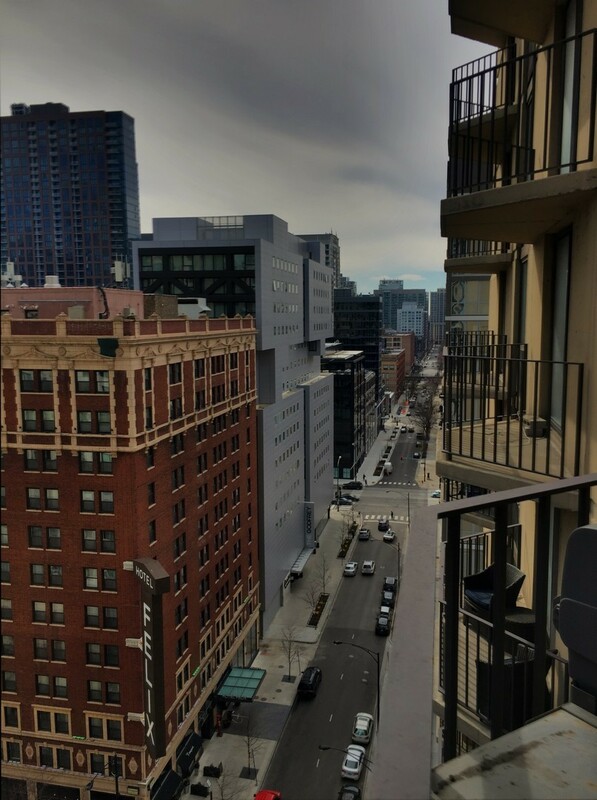 Balcony provides a sweeping view of Huron street with a glimpse of Lake Michigan. 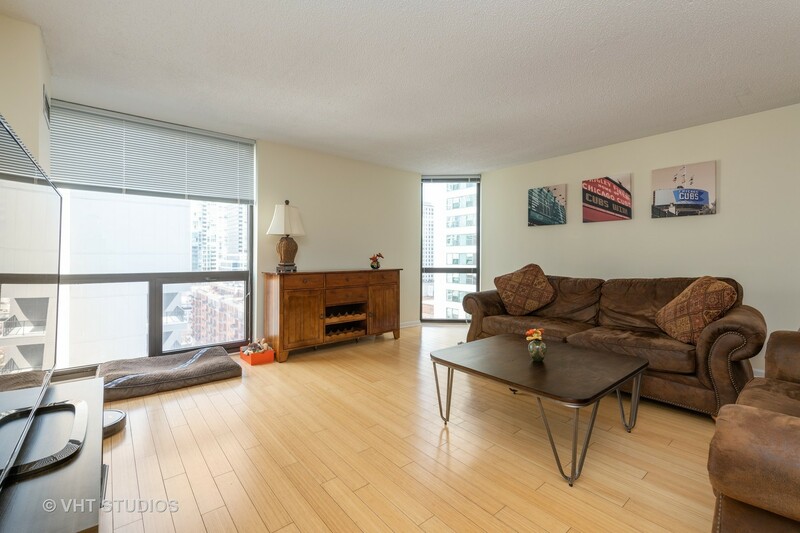 Bamboo hardwood floors throughout. 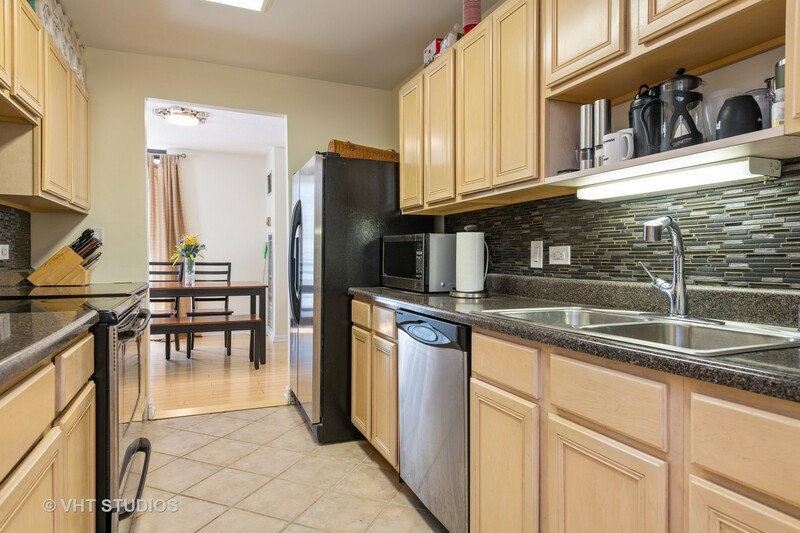 Galley kitchen with separate adjacent dining room. 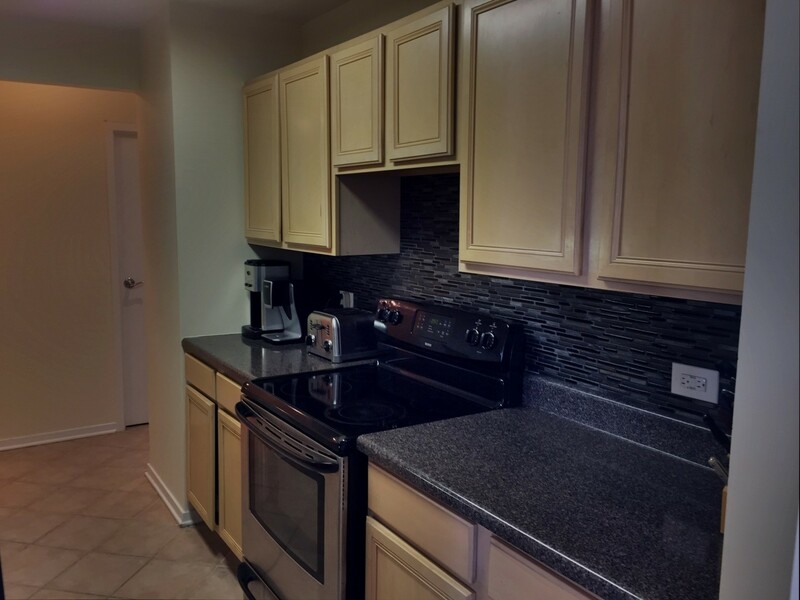 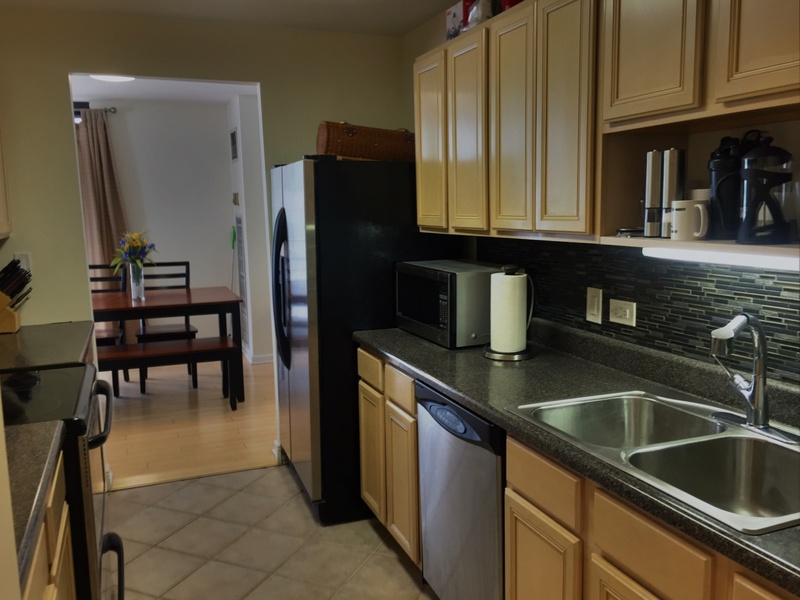 Stainless kitchen appliances, updated lighting and new dimmers throughout. 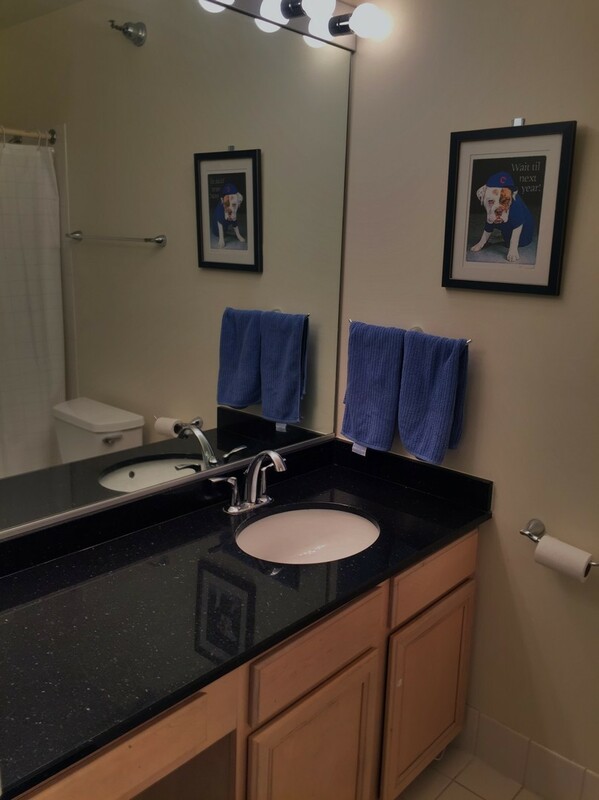 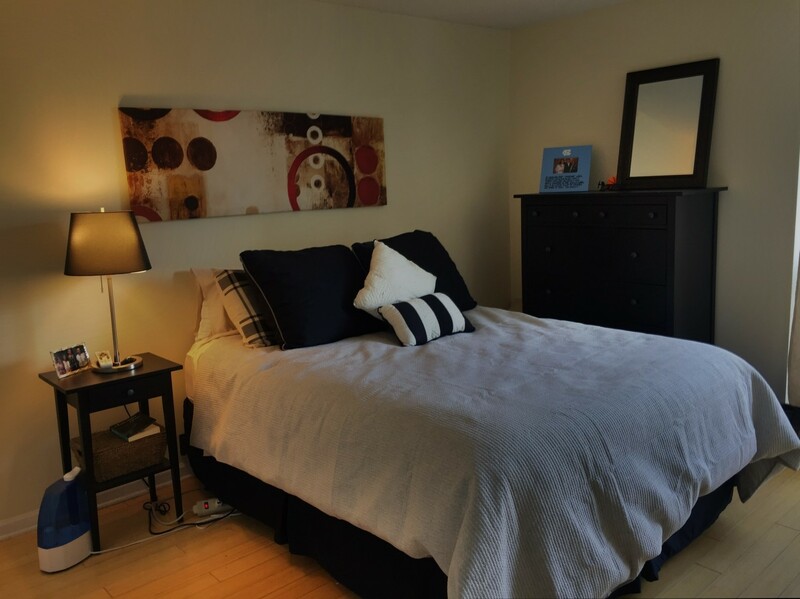 Generous storage, with double closets in both bedrooms, plus hall closet and linen closet/pantry, plus extra storage locker. 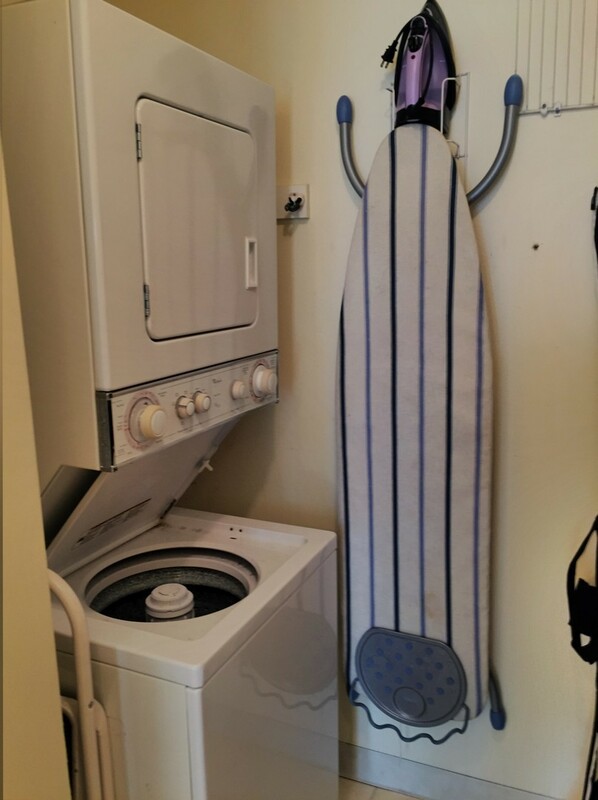 Rarely available in-unit washer and dryer make it easy living. 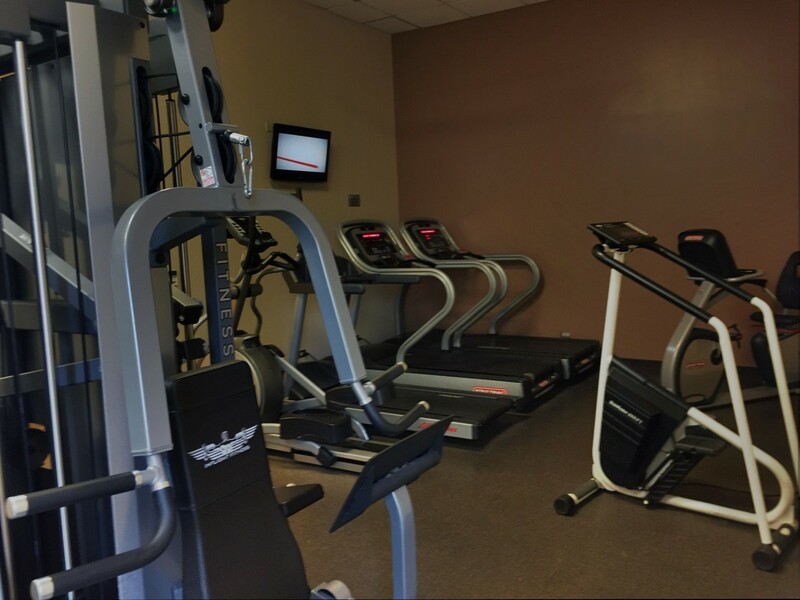 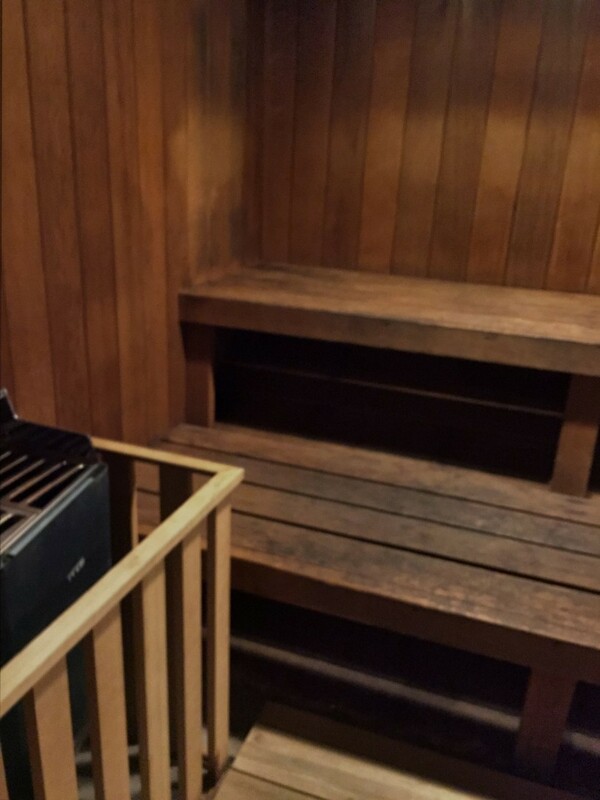 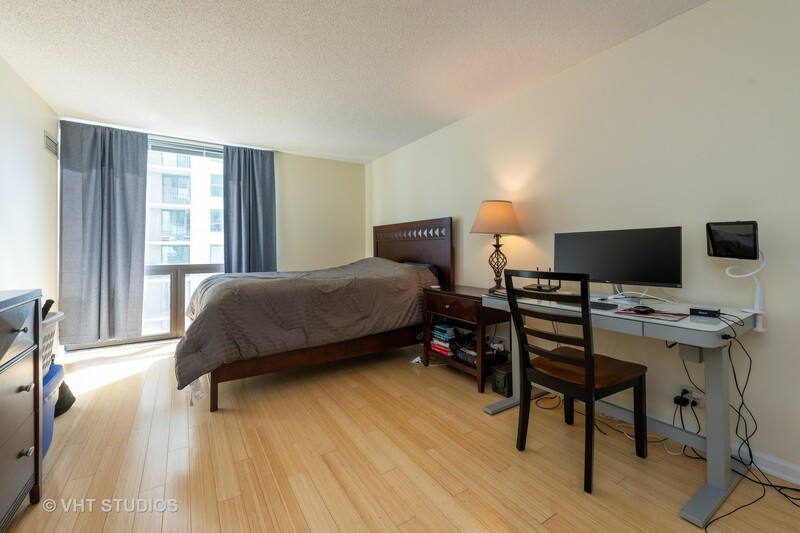 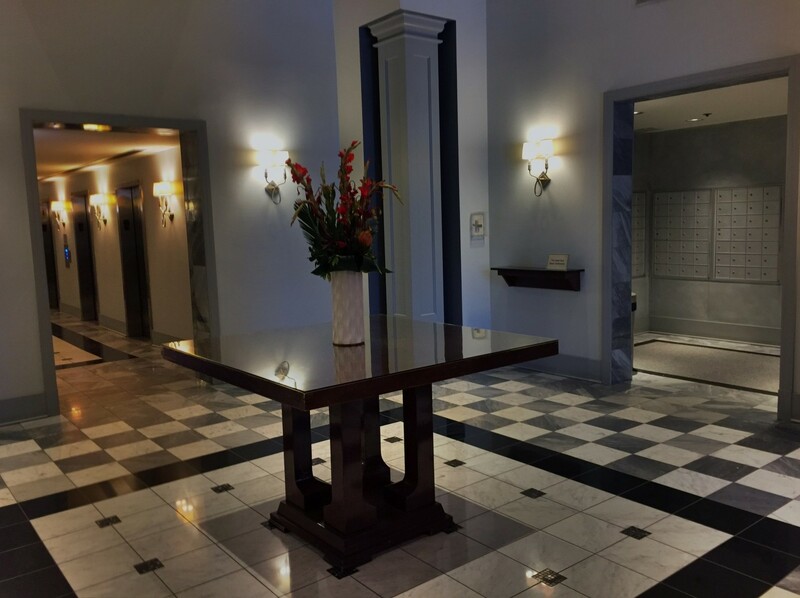 Building features 24 hour door person, on site building management and engineer, fitness room, sauna, huge sundeck, bike storage, dry cleaner on site and more. 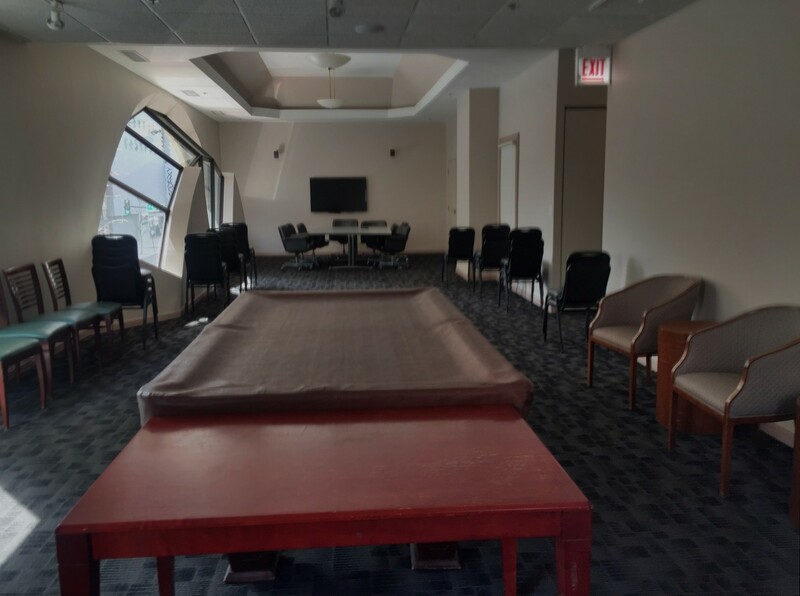 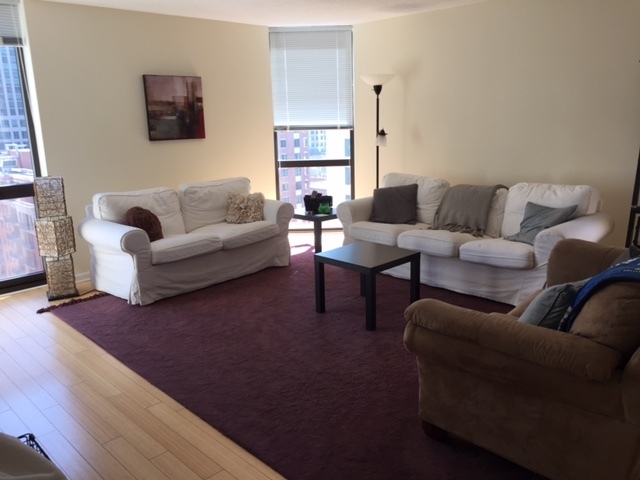 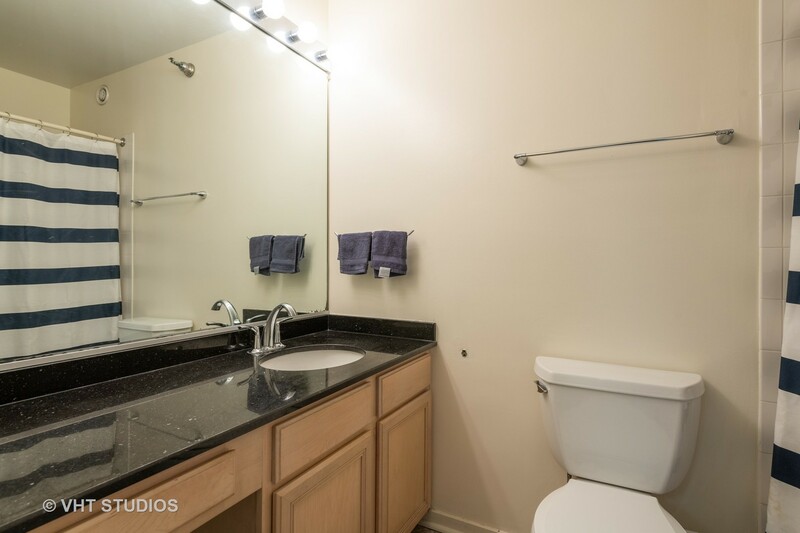 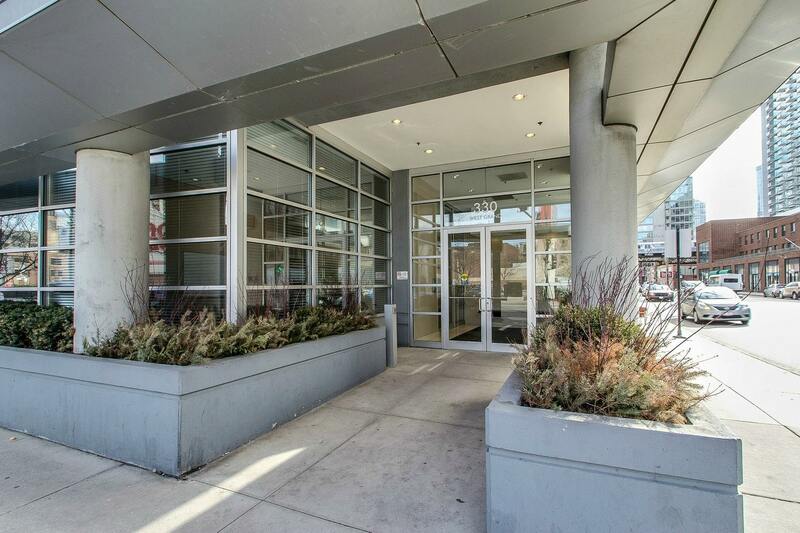 Deeded parking space additional $35K, must be included. 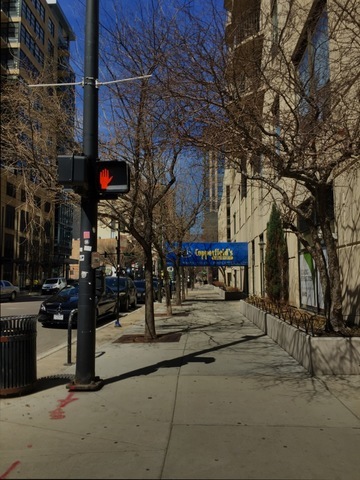 Easy walk to the best restaurants, night life, Whole Foods, Trader Joe's, public transportation, buses, Red & Brown lines, and I90.